In order to get Team Premium status, all team members of a team must own premium. Inactive and honourable members will not affect your Premium Status. Once Premium, your team will show off its members in detail, show the awards of the team and will also be able to join Premium Only tournaments. Participate in tournaments exclusive to Premium members, where you can win prize money (and ingame prizes!). We are currently offering tournaments in Europe and Germany (we are expanding into more regions soon). As a Premium Member you can earn exclusive awards. Show them off on your profile, customize the order and only show your favourites. Find the list of awards here. All ESL Premium Members can see their opponents stats right on the match page. For example, in League of Legends you can see the top 10 of the most picked champions of your opponents that may help you when it comes to deciding which champions to ban. Aditionally, you are able to see a statistics comparison between you and your opponent when challenging a player in our ladders, including their most played maps, strengths and weaknesses. Only with the support of our Premium Members we can offer tournaments to your favourite game, improve and implement new features in ESL Play! As a Premium Member you can choose to hide ads on the website via your website settings. Show off how popular you are with a visitor counter on your profile. It's your guestbook! You can delete any entry you want (if the entry is archived, you can open a ticket to the Premium squad and request that it is deleted). Don't be just a number: customise your ESL player link with a custom URL alias. 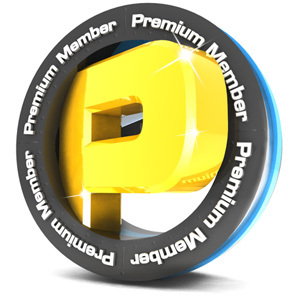 Buy ESL Premium now and enjoy a lot of features exclusive for Premium Members only! I purchased premium, but I cannot see it active in my profile page? You can also check your premium account status in your account page. Do I need team premium to participate in Premium Tournaments for teams? 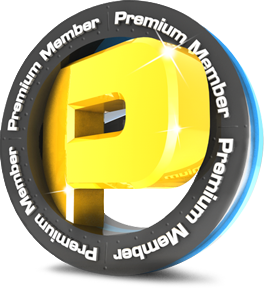 Let's start with what team premium is: Team Premium is unlocked when all active members of the team have premium. You are able to see your team active and upcoming awards when team premium is active. Premium Tournaments for teams are based on the roster of the team, so only the players participating in the tournament require premium. For example, if you want to participate in a 2on2 premium only tournament and you sign-up for main team with more than 5 people, only the 2 players participating in the tournament must have an active premium account in their profile. I won a Premium Raffle! How can I claim my prize? Congratulations! You can claim your prize by opening a ticket (please select Premium as category)! Include the link of the page stating that you won and include your Steam Trade URL in your request if it's a Steam item. How can I purchase premium for my team?